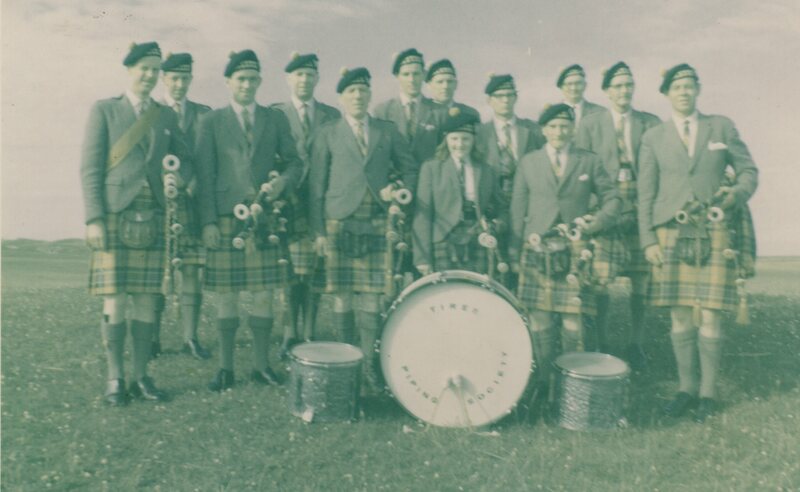 Photograph of the Tiree Piping Society band ca 1970. 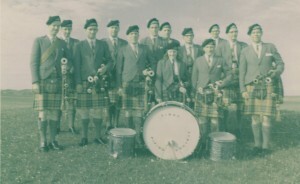 Colour photograph of 13 members of the Tiree Piping Society band grouped on the machair in the 1970s. (Original photograph stored in filing cabinet 10 drawer 1). 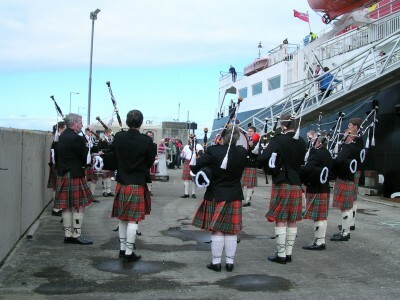 Colour photograph of the Tiree Pipe Band playing on Gott Bay pier in 2006, welcoming passengers to Tiree at the start of the A` Bhuain homecoming for diaspora, organised by An Iodhlann. Original held on CD in filing cabinet 10 drawer 1. Two sheets of original pipe music composed for Pipe Major Robert Beck of Tiree (on his retirement? 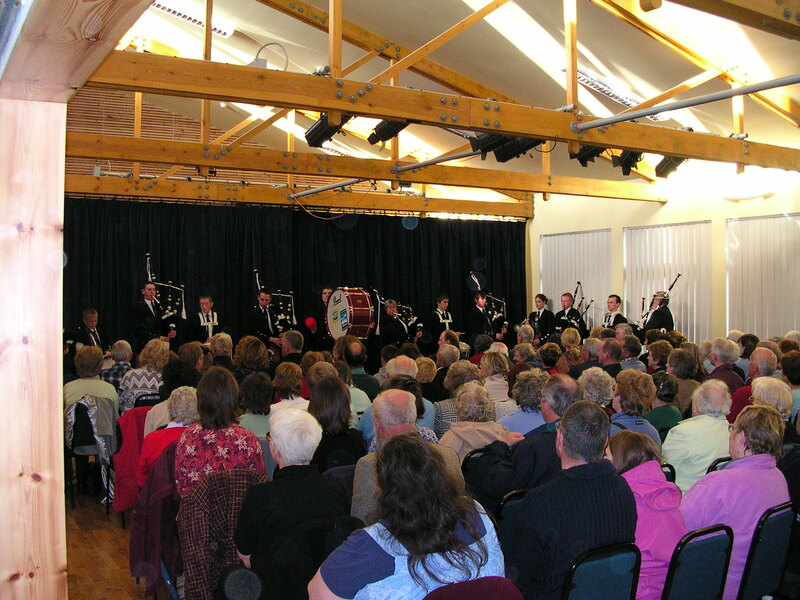 ): (1) photocopy of printed manuscript entitled “Robert Beck of Tiree” composed by Pipe Major Barry Donaldson, a hornpipe, (2) photocopy of handwritten manuscript entitled “P.M.Robert Beck” by Willie MacLean, Balinoe, a slow air in waltz time.